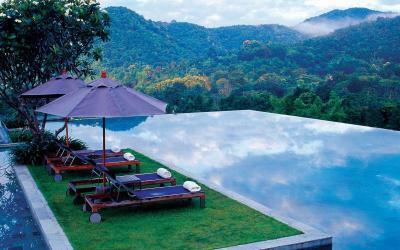 Lock in a great price for Veranda High Resort Chiang Mai – MGallery by Sofitel - rated 8.5 by recent guests. Helpful and friendly staff. Excellent location. Pool with a view on the hills. Tasty food, comfortable rooms. 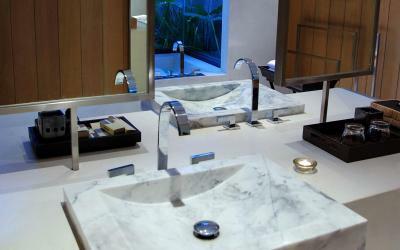 Everything was perfect include all facilities ! Staff was very nice and delicated. Delicious breakfast ! It was a perfect place for rest. I went their with family! The service was impeccable. We needed a late check out and they managed to accommodate us. The staff all around the hotel and restaurants were so very attentive to our needs. They were friendly, approachable and took initiative. We also loved our spacious room which had a beautiful balcony overlooking the mountains. We enjoyed being by the pool very much which boasted a view like no other. We ate in the restaurants for all our meals and we could not have asked for better Thai food. We especially loved the Northern Thai dishes which were so flavourful and simply delicious. The style of the hotel is beautiful. The original design concept is fantastic. 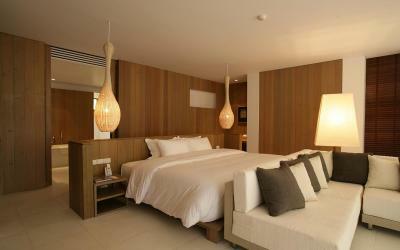 The rooms are also large, comfortable and well designed. The staff are good, but there's not enough of them - it seems they are running on skeleton staffing levels. The room and view were excellent. The landscaping was very well done. Architecture and design of the resort is unique. Tus hotel is beutiful however it is a little careless despiste being a 5 stars hotel. 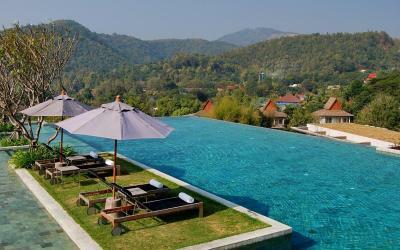 Fabulous view of the neighbouring mountain with a white pagoda on top from the the infinity pool and all the rooms. Exceptional service from the hotel staff. 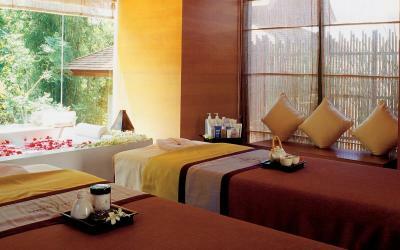 Great Spa!! A very decent kids club to keep the little one occupied when parent can go to the spa. 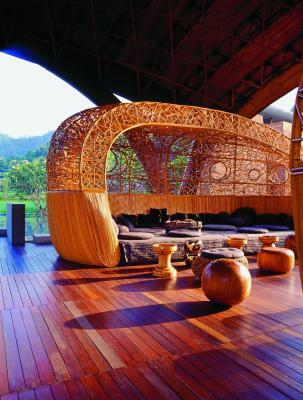 One of our top picks in Hang Dong.Located outside the city of Chiang Mai, the tranquil resort offers guests two different worlds created by northern Thai culture and contemporary style, with views of the natural landscape. 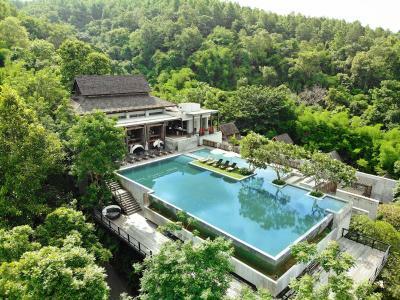 Veranda High Resort Chiang Mai - MGallery Collection offers rooms set on the valley slope, enjoying breathtaking views of natural mountain streams, and rice and tea terraces. 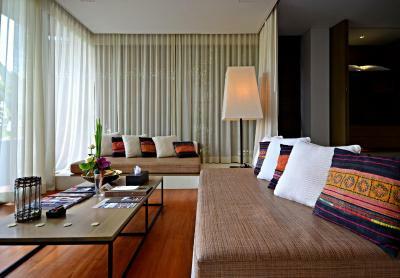 One side represents North Thailand’s cultural heritage while the other side is furnished in a contemporary style. Besides warm, personalised service, Veranda Chiangmai also provides rooms with open-plan bathrooms and spacious, private balconies complete with daybeds. 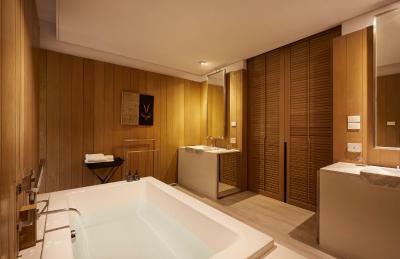 Veranda High Resort Chiang Mai – MGallery by Sofitel has been welcoming Booking.com guests since 6 Jun 2009. 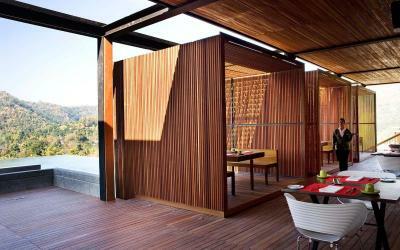 When would you like to stay at Veranda High Resort Chiang Mai – MGallery by Sofitel? This luxurious villa feature a large terrace with a private plunge pool with views of the rice terrace. Its living room has a 42-inch flat-screen TV, DVD player and iPod dock. Bathroom has a rainshower and separate bathtub. This luxurious villa comes with a large outdoor terrace with a sunken hot tub. 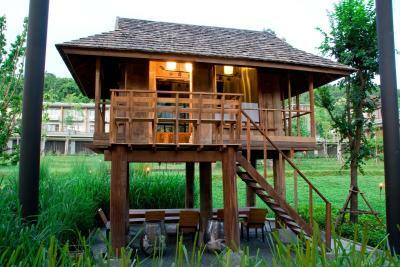 Facing the rice and tea terraces, it has a separate living room with a 42-inch flat-screen TV, DVD player and iPod dock. Bathroom has a rainshower and separate bathtub. Overlooking the resort's garden, neighboring hills and the tea and rice fields, the Deluxe Rooms come with a open-space living concept and a large balcony. Rooms are equipped with an over-sized bed, an additional daybed and a bathroom with a separate shower and bathtub. This twin room features a soundproofing, fireplace and air conditioning. This twin room has a minibar, bathrobe and seating area. 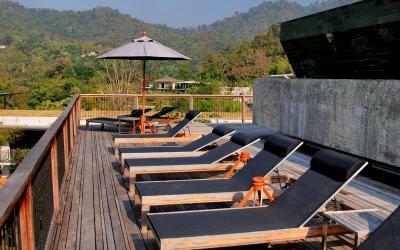 Veranda High Resort Chiang Mai is a stunning mountain retreat blending with the beautiful natural landscape in the northern capital of the Lanna Kingdom of Thailand. 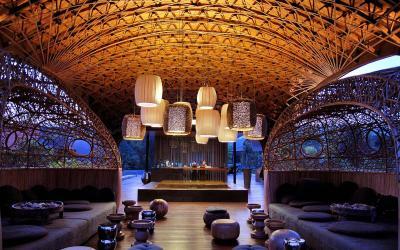 House rules Veranda High Resort Chiang Mai – MGallery by Sofitel takes special requests - add in the next step! 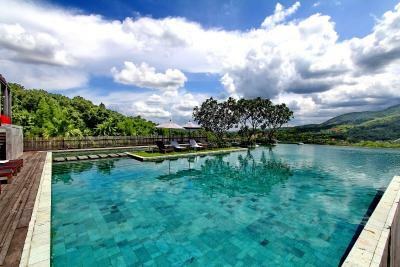 Veranda High Resort Chiang Mai – MGallery by Sofitel accepts these cards and reserves the right to temporarily hold an amount prior to arrival. Some areas are looking dated and run down, in need of fixing decking area by the pool. The pools were not that clean either. Staff not overly friendly and we were only informed of a wedding taking over the hotel, so no access to the pool, just the night prior to it. It would be nice to be told this on check in so that plans can be made, I.e. we would have chosen this day as an activities day. Was nice once - but in need of an update, now quite old and used. Plus we had a swarm of ants in the shower (which obviously came back with reinforcements after a couple of hours). The bathrobes are old, even with holes. They should renew them. The infinity pool. The view is great, sky is blue, and the sunshine is warm. Friendly staff, good breakfast with nice view @ high room.